Enter your data to login into the system. 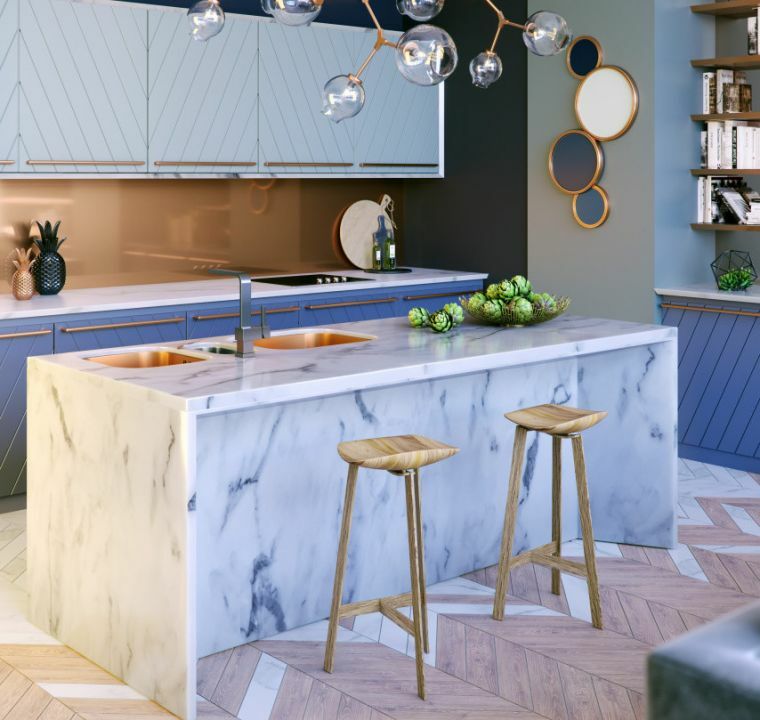 Modern kitchens are flexible, well designed, and increasingly freed from the traditional division into the cooking, work and wash-up areas. With state-of-the-art sinks, the Alveus brand promotes inovative and functional kitchen solutions, which transcend the limits of the “wet” kitchen area. Alveus sinks are thus becoming an important part of everyday life, and are designed and manufactured accordingly, displaying the four most significant qualities that place Alveus sinks among the top products in the market. Alveus sinks rank among the most durable sinks in the market since they are manufactured from 18/10 stainless steel up to 1 mm in thickness. The main advantage of thicker steel are greater impact resistance, increased stability of a sink tap and significantly reduced level of water splashing noise. In weight comparison, sinks made of thicker stainless steel are heavier. Granite composite sinks are composed of granite parts tightly bound with high quality acrylic resin, which helps to acquire excellent mechanical properties and chemical persistence. Some Alveus finished goods are made of tempered glass, a type of safety glass with significantly increased toughness and thermal resistance. Alveus sink bowls can be deeper than other products of the sort. The capacity of the sink is thus increased by up to a few litres, which makes the task of washing up large pieces and big amounts of dishes much more comfortable. The sinks use 11/2” or 31/2” drain plumbing (depending on the model), which allows quick drainage of large amounts of water. Alveus sinks are surface treated to resist the growth of mould, microorganisms and bacteria. All surfaces are easy to clean, as the sinks have no inaccessible spots for bits of food and other grime to accumulate. 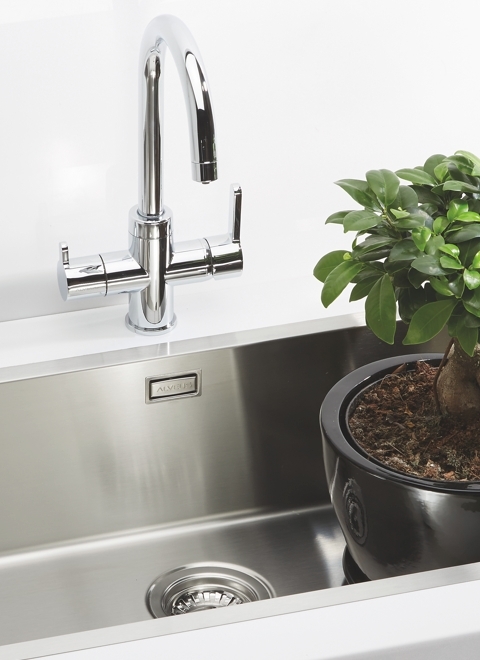 In addition, Alveus sinks are environmentally friendly, containing no harmful admixtures that might be released into the environment upon decomposition. Alveus sinks are easy to clean and maintain, as they are manufactured from top-quality materials and designed to allow simple maintenance without aggressive cleaning agents. The composite as well as stainless sinks are extremely resistant to impacts, high temperatures, scratching, chemicals and all sorts of stains. Stay informed about our tips, advice and promotions! © Alveus 2019, All rights reserved.